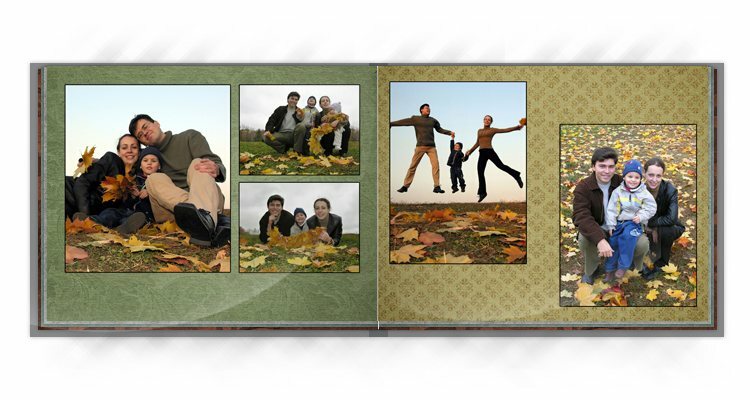 Create your own personalized photo book featuring your favorite photos. Print Shop Lab offers many designer templates to choose from to make your photo book great! We offer many styles to help you create your photo book for any occasion. Design a book for a holiday or create a wonderful gift that will brighten some ones day with each turn of the page. You already know that you can order prints online from RitzPix! But did you know that you can design and order custom printed albums? Upload your favorite photos and use our convenient photo book maker to create your very own masterpiece. We offer several book sizes and styles that you can use to create anything from a personalized wedding photo album to a custom vacation photo book. Gathering up your photos and deciding what to put in your album is the tough part. Afterwards, upload your photos to RitzPix from your phone or computer to get started and create a photo album by picking out your customized options to complete your book cover to cover. First, choose your album’s style and size. Then, select the background theme for your book’s pages. We have everything from solid colors to baby themes to compliment the occasion. Next, upload your photos and then choose the number of pages you would like for your book. Now it’s time to have some fun! Begin by dropping your photos onto each page and then adding your own personalized text. You can also select various backgrounds for the pages depending on the theme you’ve chosen. 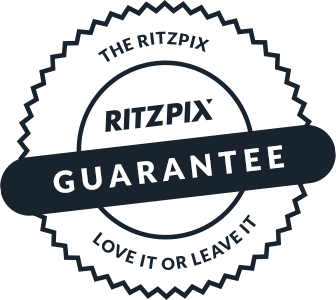 Afterwards, confirm your book layout and then place your order! Celebrate your memories by creating custom photo books that commemorate different milestones and cherished memories from your life. Instead of keeping these priceless photos stored away online or on your phone, print a photo book that displays your best moments and caption them with personalized text for the perfect stroll down memory lane. Wedding day memories are some of the most treasured moments we have. Whether you have professional photos or some stunning snapshots from friends and family, we have all the options available so you can create the perfect custom wedding photo book! Print your best wedding picture on your book’s front cover and add your own title for a professional look. We also have several elegant wedding themed templates to accent each photo on every page. Showcase your wedding day’s best memories all in one place! There’s no better way to commemorate your little one’s milestones that with a custom baby photo book. 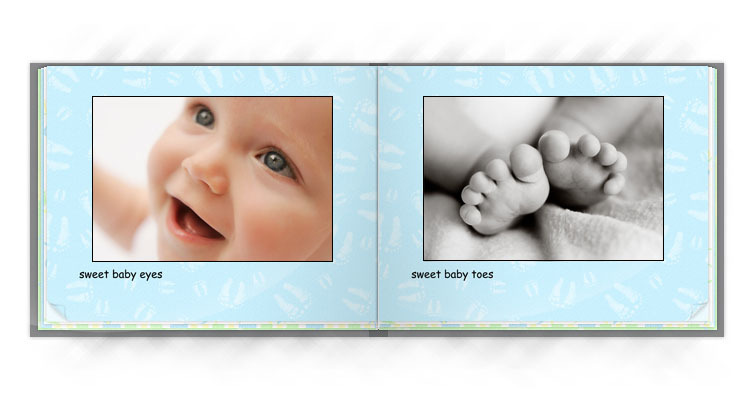 Choose from several baby page templates to showcase your baby’s cutest pictures. We have several book options available so you can create one for yourself and extras for the grandparents as a treasured keepsake they’ll love. Whether its high school or college, graduations are another great reason to celebrate! Create graduation photo albums with our variety of custom photo book options. Include senior photos, pictures from class trips and more. Leave a few blank pages so guests can sign your book or create amazing collages of pictures gathered from your friends. Graduation photo books can be personalized in so many ways and display your cherished senior memories for a keepsake you’ll hold dear for years to come. Highlight your anniversary’s best moments with a custom photo book. RitzPix has all the tools you need to celebrate your special milestone, whether it’s been 1 year or 50! From elegant patterns to classic full page photo layouts, you can create the perfect anniversary photo book with our wide variety of options. Go traditional or go modern! The choice is yours. Upload your best anniversary moments to RitzPix and let your creativity flow. What could be better than the ability to custom design your own album page by page. How about creating your own custom cover? 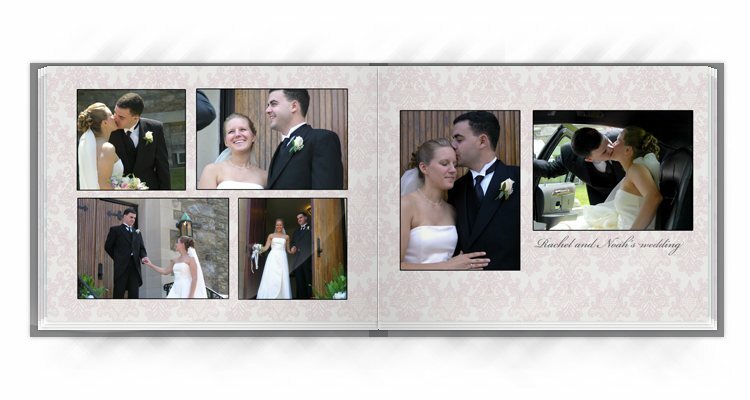 Our hardcover photo album can be personalized with photos and collages both front and back. Choose your all time favorite pictures and add your own text for that personal touch! We all love a leisurely stroll down memory lane. That’s why our layflat hardcover photo book is perfect for sharing your photos with friends and family. Lay your book down on your coffee table and easily reminisce with friends and family without the pages flipping on you. Custom cover layflat albums make it easy to share memories and are perfect for display on your living room coffee table. Like our classic hardcover album, the front and back covers can be personalized with photos and text for a truly unique look. Create softcover photo books cheap at RitzPix for quality and all the designer options. Softcover photo albums are perfect for showcasing birthday memories, vacation pictures, camping trip highlights and more. Make several copies for your friends and family and create amazing covers with fun, colorful photos and exciting background templates to make the ultimate personalized photo albums. Also, if you’re looking for smaller sizes, you can order 5×7 and 4×6 photo book sizes that are completely portable and make sharing easy! In addition to preserving your favorite memories, you can use our photo book maker to create a stunning gift that your loved ones won’t soon forget! Choose a page template that compliments their style and accents their photos for the perfect personalized gift that can’t be beat. Personalized photo books are a treasured keepsake that you and your family will enjoy for years to come. Looking for a gift for Mom? Why not upload her photographic favorites and create a photo album that’s complete with her most cherished photos from years past. Upload your recent digital pictures of the family and scan your older photographs to give her the gift of memories! We have several book options to choose from and you can custom build each page with your own photo arrangements and text to showcase her favorite memories in style. Maybe you took an unforgettable vacation this year with friends and you have a phone full of your exciting adventures and memories. 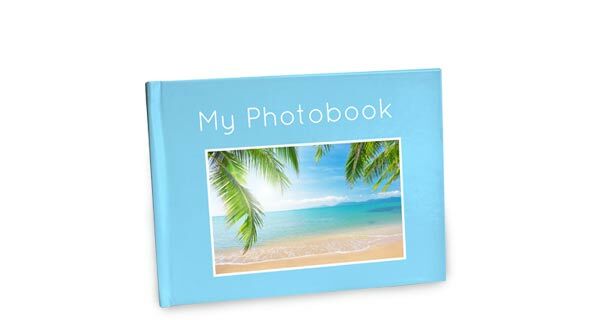 Why not upload your vacation photos and create a softcover book with your vacation pictures. Add your own captions and create a special keepsake for yourself and your friends for a gift they’ll truly love. Whether it’s the holidays, your aunt’s birthday or your best friend’s wedding or yourself, you can create professional photo books for any occasion.